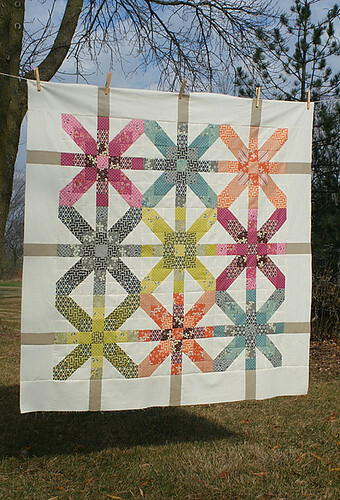 Lee, from the Fabulous blog Freshly Pieced, designed this awesome quilt pattern called Supernova. Cutting instructions will be posted on March 24th, but yardage requirements are already online. This might be the Right time to cut it up! So we all get to post photos of our progress on her Supernova Quilt Along Flickr Group, and generally have a great time while making this beautiful quilt! than a group of people expecting to see a Finished Quilt! Who else is going to join in the Fun?